Ticket sales to UK literary festivals are on the rise, and more niche books and authors get time in the spotlight. The literary festival scene in the UK is booming. It seems hardly a week goes by without some kind of literary programme being staged and the public’s thirst for these types of gatherings seems to grow with each new event. As publishers and publicists now start to plan their authors’ personal appearances during those all-important pre-Christmas months, the first question they will no doubt ask themselves is: what literary festivals are taking place around the publication date, and how can we get our authors involved? So why is this happening and how has “the literary festival” become such a must-attend attraction? As far as the authors and publishers are concerned, it comes down to plain economics. The best literary festivals are well-organized, have ready-made audiences, generate substantial PR (often on a national level) and, generally, sell plenty of tickets. And good tickets sales almost guarantee the author will sell a healthy number of books. So the bottom line is that signing up to events at these festivals makes good financial sense –- they get a good “return” for their author’s time and they shift some copies too. On the other hand, public turns up in numbers because going to a literary festival is still incredibly good value. Last Bank Holiday weekend I attended the Hay Festival where ticket prices for many events cost between £5 and £10. Where else would you be able to listen to the likes of Rob Lowe, Bob Geldof, Howard Marks and Alexander McCall Smith for those kinds of prices? And it works, as Hay Director Peter Florence explained to BBC Wales, “The festival’s slightly bigger this year and we wanted to keep the prices low because everybody’s going through a hard time. It seems to have worked because the numbers (of ticket sales) are up quite considerably, about 15% on last year, and we’re expecting to sell 230,000 tickets over the course of the festival. The response has been absolutely phenomenal.” And “phenomenal” it was, with blanket PR coverage, and substantial book sales. No one in the Hay signing tent could possibly imagine that “the end of the printed book,” as many predict, might be just around the corner. It was heaving with people carrying literally armfuls of books to the check-out! But it’s not only the bigger literary festivals attracting the big names and catching the public’s attention right now. Running alongside the main festival at Hay, concurrently, was a lesser-known but equally popular philosophy and music festival called “HowTheLightGetsIn” which boasted a stellar line-up of speakers, such as Susan Greenfield, Will Hutton and AC Grayling. Furthermore, next month sees the launch of a brand new literary festival –- this one solely dedicated to history. 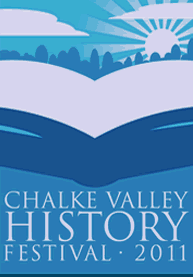 The Chalke Valley History Festival, whose patrons include bestselling authors Antony Beevor and Max Hastings, is the brainchild of James Heneage, founder of the Ottakar’s book chain, and historian James Holland. As the tents come down in Hay, the book buying public will now turn its attention to other such literary feasts just around the corner. The Ways with Words Festival at the beautiful Dartington Hall beckons in mid-July; then for crime fiction fans there’s the Theakston’s Old Peculiar Crime Writers’ Festival in Harrogate, oh and then the Edinburgh International Book Festival…the list goes on, right the way through to Christmas and beyond. The choice is endless! 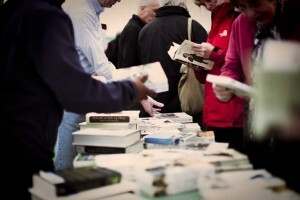 DISCUSS: How Can Book Festivals Integrate E-books Into Their Events?